After wearing the short Primark nails for a couple of weeks I was dying to get my claws back. My flatmate said shorter nails made it look more like I had proper 'human hands' but where's the fun in that? I love having silly nails! White nail polish can be a surprisingly bold statement and I loved the way they looked with my all-black outfit yesterday. As usual I had piled the rings on! 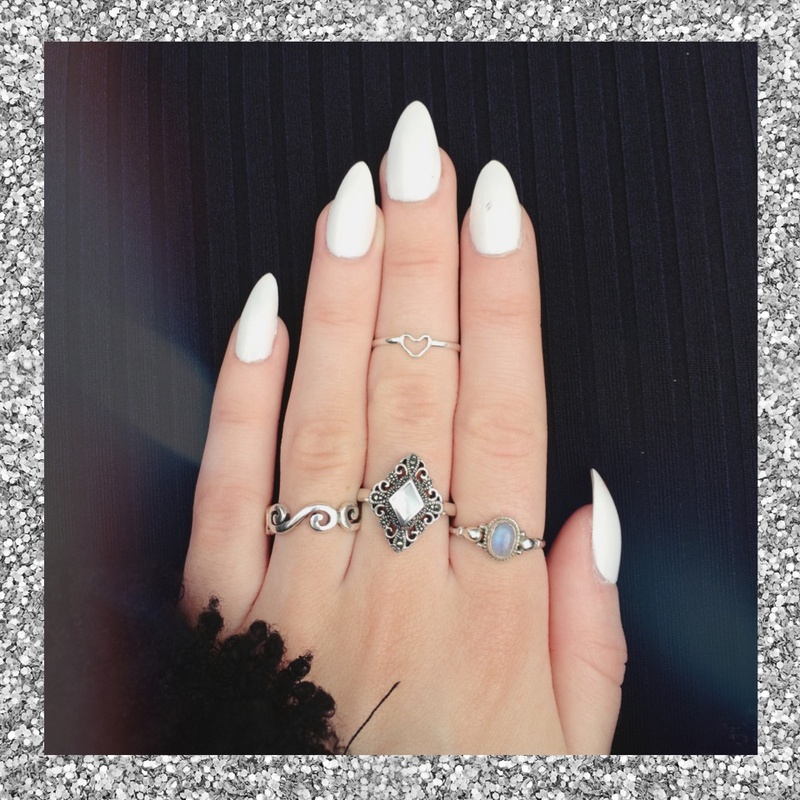 great nails and i love your rings! I am in love with this look! Amazing!